Blog Why All The Excitement About Machine Learning and Public Health? Why All The Excitement About Machine Learning and Public Health? ‘Machine learning’ is one of the most popular hi-tech buzzwords today! What really is machine learning and why should we be excited about its use in public health? Machine learning is not new. Since the invention of electronic computers, programmers have developed algorithms to extract patterns from large datasets and to use these patterns to predict outcomes from new data. For example, airlines use historical data about reservations, fares, weather, local events, and holidays to estimate bookings and set fares for future flights. The algorithms are designed to continuously revise their predictions as new data become available. This is why airfares change so often. ‘Machine learning’, then, refers to the development of algorithms that allow computers to recognize patterns from existing data and make predictions without human intervention. What gives rise to machine learning’s popularity is the realization it can be used to tackle big and complex problems that were once too large to solve. 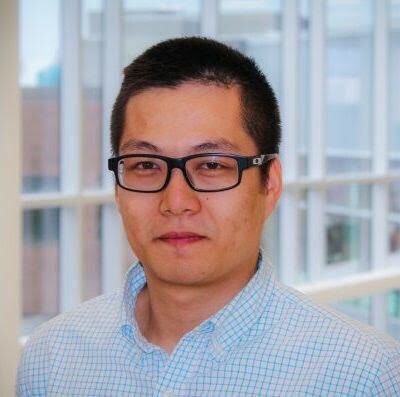 For example, attempts to address the challenging global health problem of antibiotic resistance were helped by researchers at the University of British Columbia, who used machine-learning techniques to identify new proteins with potential antibiotic properties from a larger pool of proteins. However, one of the biggest challenges in applying it to public health is the accessibility of data. Health data are restricted or unavailable for a variety of reasons, including privacy concerns, incompatible media, or networking limitations. Without data, machine learning algorithms cannot run. When privacy can be safeguarded, non-health data may be linked to health data to discover new patterns of social determinants of health. For example, Public Health Ontario uses a model combining demographics, lifestyle data, education, and Body Mass Index to monitor and predict the future burden of diabetes in Ontario. These instances give us reason to be excited about using machine learning in public health. Ken is a Ph.D. student at the University of Waterloo – School of Public Health and Health Systems. His research interests are in harnessing the power of computing to understand the patient experience within the health care system, examining how policies can impact the patient experience, and using data driven evidence to advocate for positive change in health care systems.